A medical historian narrates the last century of scientific struggle against an enduring enemy: deadly contagious disease. Ever since the 1918 Spanish influenza pandemic, scientists have dreamed of preventing catastrophic outbreaks of infectious disease. Yet despite a century of medical progress, viral and bacterial disasters continue to take us by surprise, inciting panic and dominating news cycles. 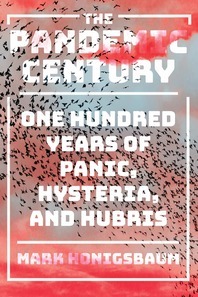 From the Spanish flu to the 1924 outbreak of pneumonic plague in Los Angeles to the 1930 “parrot fever” pandemic, through the more recent SARS, Ebola, and Zika epidemics, the last one hundred years have been marked by a succession of unanticipated pandemic alarms. Like man-eating sharks, predatory pathogens are always present in nature, waiting to strike; when one is seemingly vanquished, others appear in its place. These pandemics remind us of the limits of scientific knowledge, as well as the role that human behavior and technologies play in the emergence and spread of microbial diseases.